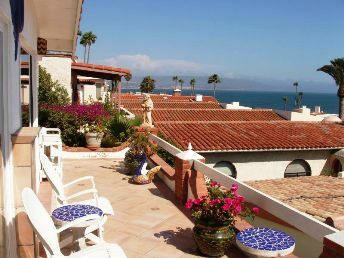 This beautiful three bedroom, two bath view home has a tremendous white water view as well as a bird’s-eye view of some of the 300 Spanish-style homes in picturesque Las Gaviotas. 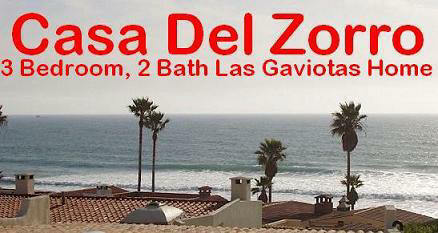 Enjoy the roof-top view of the Spanish-style homes, waves smashing on the rocks, and sunsets from the patio deck. 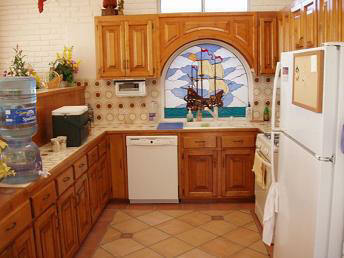 Excellent views are also had from the kitchen and living room. 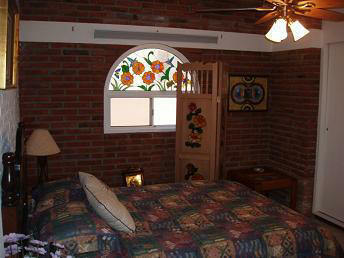 Enjoy our free wireless internet while you’re here! 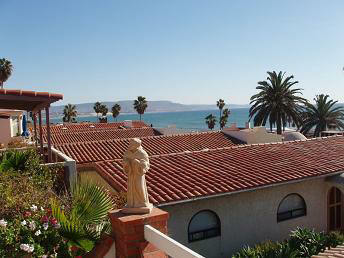 Indulge yourself with the Las Gaviotas/Baja California experience. 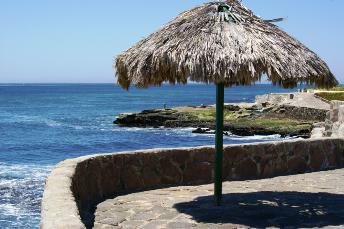 Relax with the mild year-round climate, fresh ocean breezes, and warm sunshine. 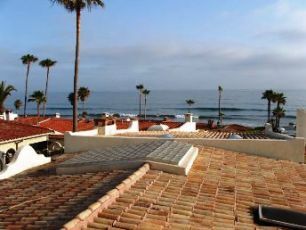 A slate walk path stretches the length of the resort community from which you can view the captivating coastline, wildlife, and crashing waves. 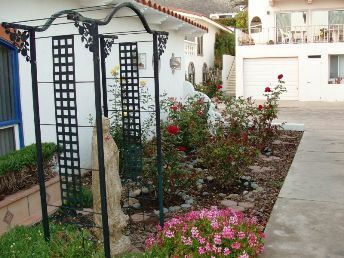 Throughout the Las Gaviotas complex one sees lush gardens of trees and flowers beautifully maintained by the groundskeepers. 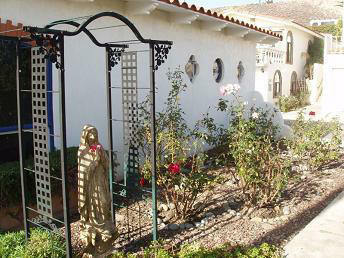 Escape to Baja California for a relaxing vacation. 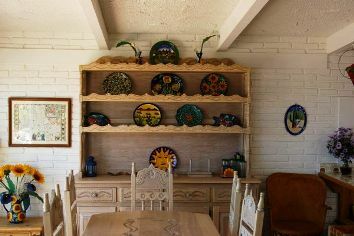 Stay at a beautiful oceanview villa in the private residential resort of Las Gaviotas, an American development of 300 vacation homes, 8 miles south of Rosarito Beach, Baja California, Mexico. 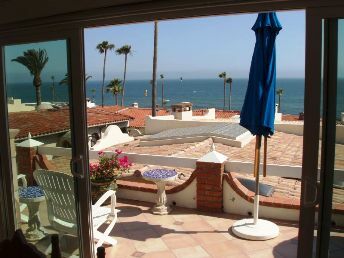 View the sea and smell the fresh air. 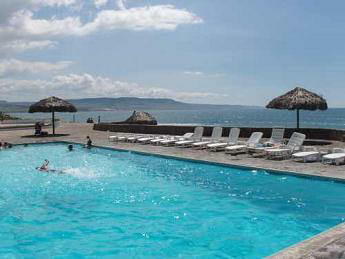 Only steps from a shared pool and spa. 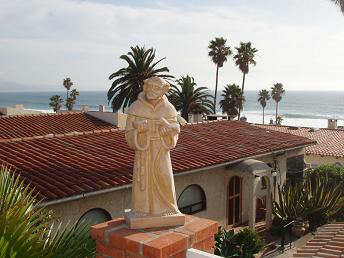 Looking south from the patio. 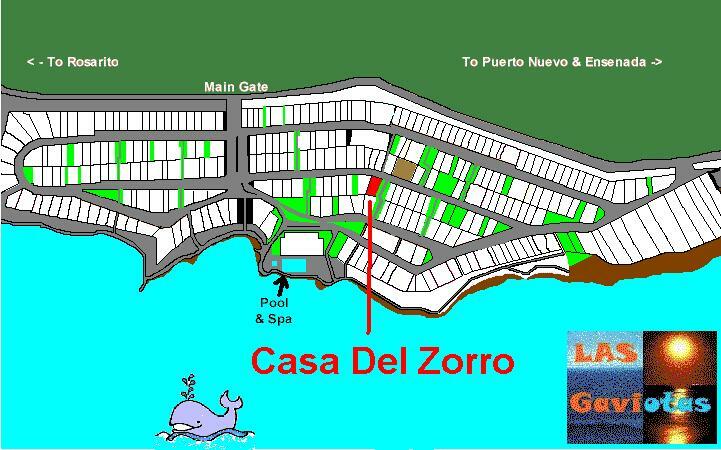 The amenities in Casa Del Zorro include a Fireplace, Cable TV, VCR, Stereo, CD Player, Full Kitchen, with Microwave, Dishwasher & Refrigerator. 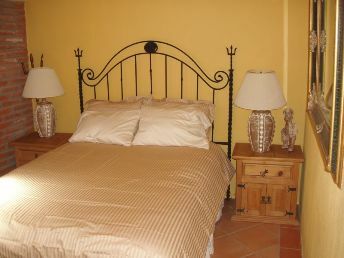 All Cooking Utensils are provided, as well as Bed & Bath Linens. Just bring your own Beach Towels. 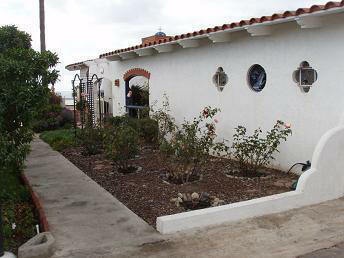 We have a Garage & Covered Parking for our cars. 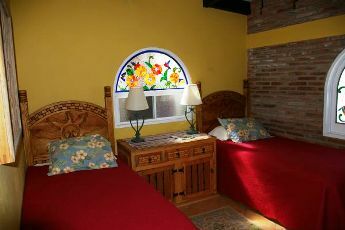 Stay a week, and your 7th night is free. To rent Casa Del Zorro, please click on the “Reserve” button below. 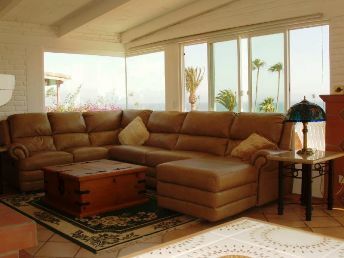 If you prefer, email bohemia66blake@yahoo.com or call 310-940-9486 or 310-545-3888. Check the calendar to see if the dates you want are available. 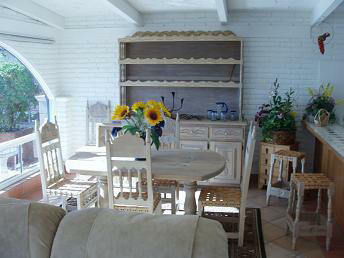 More pics of Casa Del Zorro in Las Gaviotas. 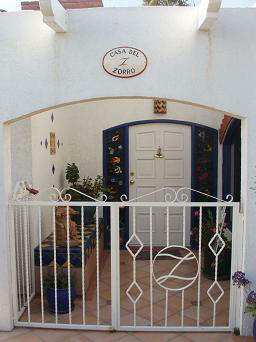 To rent Casa Del Zorro, please click on the “Reserve” button above.